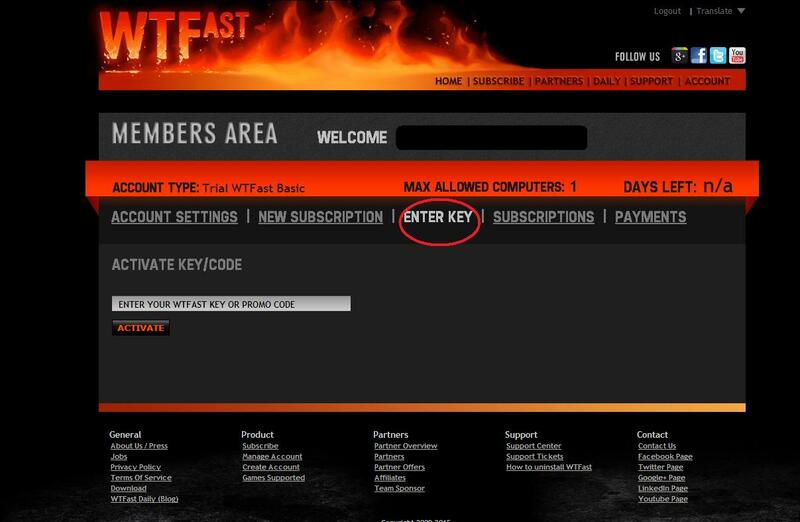 - OffGamers is the authorized distributor for WTFast. WTFast is not a VPN but the GPN (Gamers Private Network) which is fundamentally different than any other type of network solution. WTFast is the only optimizes game connection data, and never masks or changes your IP address or network settings in any way. WTFast provides you with a better online gaming experience, reduced latency, lower ping, and far fewer lost packets. The WTFast client gives you real-time analytics so you can see exactly what’s happening with your data as it travels from your computer to game servers. Buy WTFast ADVANCED Subscription now! 1. Login to your WTF account and click "Enter Key". 2. Enter your WTFast key and click "Activate".